Many sportspeople come to me with sports injur­ies from sports such as ten­nis, row­ing, crick­et and foot­ball (of all codes), and many times they are also seek­ing to improve their sports per­form­ance. I’ve had very inter­est­ing con­ver­sa­tions with a num­ber of very emin­ent ath­letes in this regard. I worked for a num­ber of years with the Brisbane Lions (Australian Football League) in the capa­city of enhan­cing the sports per­form­ance of the play­ers. It was a very excit­ing and won­der­ful time to be involved in the sports medi­cine side of things when the Brisbane Lions were win­ning their triple Premierships. I’ve also dis­cussed these sports per­form­ance issues with sport­ing luminar­ies like Serena Williams whilst I was treat­ing her for an ankle injury in Brisbane in 2012. 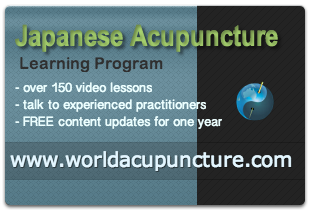 She was fas­cin­ated by the poten­tial and pos­sib­il­it­ies of the use of Japanese Acupuncture to eth­ic­ally and leg­ally draw the most out of a human being for ath­let­ic, or intel­lec­tu­al, or cre­at­ive per­form­ance. To that end (enhanced sports per­form­ance), I worked with the emin­ent, and now fully retired, crick­eter Matthew Hayden. I have worked with his fam­ily actu­ally which is really quite a priv­ilege and I take great pleas­ure in work­ing with dif­fer­ent gen­er­a­tions of the same fam­ily sim­ul­tan­eously. I have dis­cussed with Matthew Hayden also the role that Japanese Acupuncture can play in enhan­cing sport­ing per­form­ance in an eth­ic­al man­ner. I did a lot of work with Olympic swim­mer Daniel Kowalski in the lead up to the 2000 Olympic Games in main­tain­ing the integ­rity of his immunity sys­tem. He was hav­ing a lot of prob­lems with res­pir­at­ory issues. He was sub­sequently able to become a mem­ber of the Australian swim­ming team for the 2000 Games, some­thing that seemed bey­ond him when we star­ted his acu­punc­ture treat­ment. Emma Snowsill, Olympic triath­lete and World Champion, is anoth­er elite ath­lete that comes to mind in terms of provid­ing acu­punc­ture treat­ment for both sports injury and sports per­form­ance. I had treated her for recov­ery from hip sur­gery and at the same time helped her with a diabol­ic­al case of chron­ic fatigue syn­drome. I was able to help her once again to become an elite triath­lete at the highest level. She achieved some won­der­ful vic­tor­ies in the USA and Europe after her recov­ery form chron­ic fatigue syn­drome. I was very proud and pleased to be a part of help­ing her to again achieve that level of sports per­form­ance. Hence I have not only helped elite ath­letes over­come sports injury and chron­ic fatigue but also helped enhance their sports per­form­ance. One gen­tle­man who really stands out for his extraordin­ary sport­ing per­form­ance is someone who was going to row from New Zealand to Australia and back again. He came to me to see how I could edu­cate him about what he could do to main­tain per­form­ance on board – an inter­est­ing pro­ject. So I have worked with elite ten­nis play­ers, crick­eters, foot­ballers, bas­ket­ball play­ers, base­ballers and row­ers. I have done a lot of work with run­ners and oth­er ath­letes and surfers includ­ing Mark Occhilupo, Australian Surfing Legend and 1999 World Champion. I have a pas­sion for help­ing people but I also have a pas­sion for sport and bring­ing those two pas­sions togeth­er in a ser­vice role is some­thing spe­cial. It has giv­en me an enorm­ous amount of pleas­ure over the years to work with elite sportspeople to help them enhance their sports per­form­ance.